Naana Oppon was crowned British Champion as she took gold at the Tumbling British Championships . Naana won the 11-12s section, leading the way for MK Gymnastics. 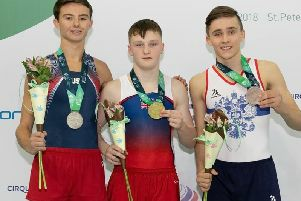 Jack Leahy (13-14) and Benjamin Goodall (17-21) won silver , while Brooke Bedford (9-10), Freddy Liggins (9-10) and Malakai Bojang (11-12) all took bronze.